Today I will be on Catholic Answers LIve taking calls from Non-Catholics. 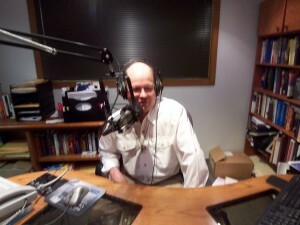 The show airs at 6:00 PM Eastern time and can be heard on EWTN Radio and Ave Maria Radio (www.AveMariaRadio.net). You can also listen on the Ave Maria Radio iPhone App. Monday morning I will be on Relevant Radio – Sean Herriott’s Show – to discuss Raising Rebels: How to Bring up Catholic Kids in a Pagan World. That can be heard at www.RelevantRadio.com. To Listen On-Line Click Here. For more info and listening options click HERE. 1) What does the Church teach about bi-location? 2) Can Roman Catholics attend Eastern rite churches and can they switch back and forth? 3) Mother-in-law doesn’t want him to convert and uses argument against drinking the Eucharist from the cup because of germs. What should he tell her? 4) What does the Church teach about legal and illegal mind-altering substances like caffeine, alcohol, drugs, etc.? 5) Do Catholics pray to Mary or just talk with her? Where does the Bible say she is divine? 6) I am married to a Muslim. We get along well but do you think he will ever convert to Christianity? 7) Was born and raised Protestant but left. Now I want to get involved in church again. Why should I be Catholic?